Manchesterinfo - Do wszystkich Polaków mieszkających w Wielkiej Brytanii! W trosce o obronę prawa Polaków do pozostania w Wielkiej Brytanii zwracamy się do Was z apelem, abyście starali się wpłynąć na decyzję Posłów Izby Gmin. Prawo daje nam możliwość do spotykania się z posłami, którzy reprezentują nasz okręg wyborczy nawet, jeśli nie jest się obywatelem brytyjskim i nie ma się czynnego prawa wyborczego. Idąc za radą organizacji „the 3 million”, która walczy o prawa wszystkich obywateli UE, w tym prawa Polaków do pozostania w Wielkiej Brytanii, zachęcamy do organizowania takich spotkań z własnym posłem w najbliższy piątek, 10 marca lub na początku kolejnego tygodnia. Walka o Wasze prawa już okazała się skuteczna, kiedy w zeszłym tygodniu doprowadziła do zmiany Ustawy o Brexicie przez Izbę Lordów. Kolejnym etapem jest dążenie do zaakceptowania tej zmiany przez Izbę Gmin w przyszłym tygodniu. Będą także inne walki o Wasze prawa w Izbie Gmin jak informuje „the 3 million” niżej. Weźcie sprawy w swoje ręce i starajcie się wpłynąć na decyzję parlamentu spotykając się z waszymi posłami i przekonując ich do Waszych racji. Wasza przyszłość zależy od Was! Nie zmarnujcie tej szansy! 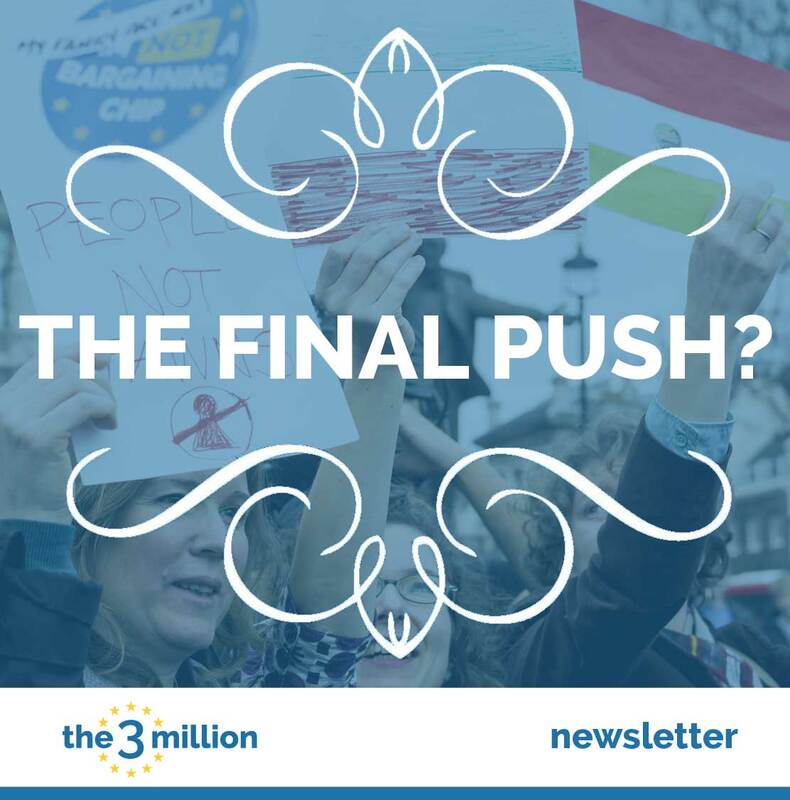 Subject: The latest news from the3million | The final push? A good day to you following the welcome news of the publication of the report by the Committee for Exiting the European Union yesterday. In January the3million, with Anne-Laure Donskoy and Nicolas Hatton, presented evidence to the cross-party Commons Committee on Exiting the EU, alongside representatives from British citizens living in Europe. Our evidence, which originated from our Forum, ranged from the stress and anxiety experienced by EU citizens since the referendum to the unfairness of the current PR system implemented by a hostile Home Office. It also proposed practical solutions, such as suggestions towards simplifying the PR process or recognising that access to the NHS should count as Comprehensive Sickness Insurance (CSI). The Brexit Committee of the House of Commons - unanimously, across political parties, from both sides of the referendum - has heard our evidence, from EU nationals in the UK and UK nationals in Europe, and supported our joint call for an immediate guarantee by the UK Government to secure our rights, and then to work with the EU governments to put a detailed plan in place to achieve that. We ask the Government to uphold these recommendations and to implement them, including our key demands to streamline the PR process, including accepting the NHS as cover for CSI. We now have a strong political momentum as the Committee has agreed with the Lords, with British people living in the EU, with EU citizens themselves and with MPs from all parties in making this plea. We call on all EU citizens living in the UK and their British spouses, family members, friends, colleagues and neighbours to contact their MP and book an appointment at their surgery this Friday or the following week. They should tell their personal story and bring a copy of the Committee report to ask them to work with the Government to implement the recommendations in an emergency bill as soon as possible. This is a change of tactics: because the Government will clearly do everything in its power to defeat any amendment to the Article 50 bill, let’s use our energy positively instead of fighting a battle we will lose. Instead of supporting a flawed amendment, we want MPs to pressure the Government to introduce emergency legislation as soon as Article 50 is triggered. By doing so, we will gain the support of most Conservative MPs who support our rights but cannot vote against the Government by supporting an amendment to the bill (even if they agreed to it). It is key to our success as this is not about politics, it is about securing our rights! 5. Regarding amendment 9B, we hope the House of Commons may change its mind and support that amendment but we also understand some MPs don't think this issue fits into this Bill. we need legislation, not playing party politics. 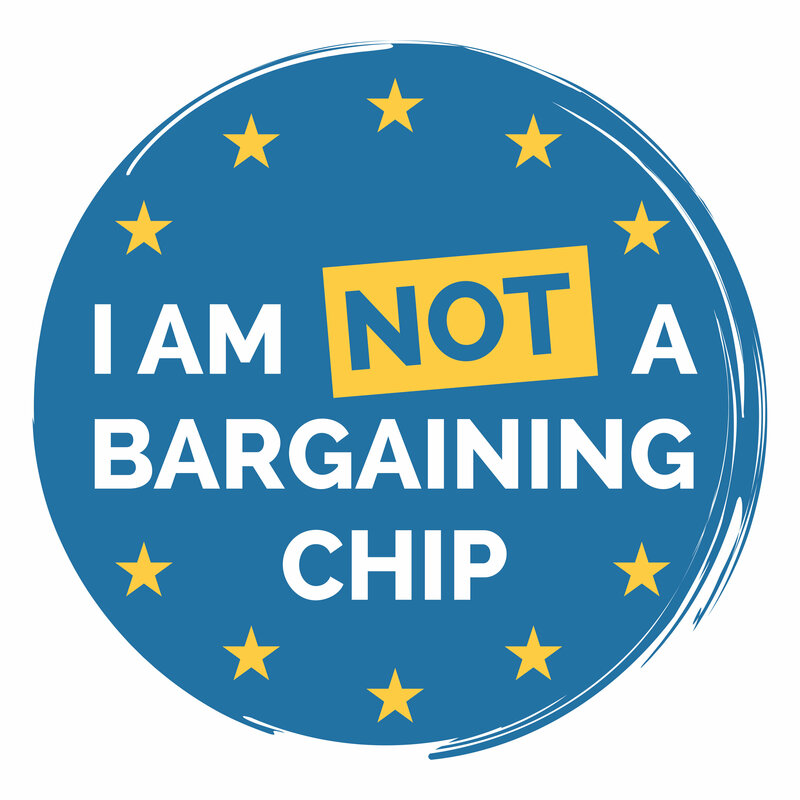 I am not a #bargainingchip! the3million co-chair and freelance researcher has teamed up with West of England University to research the perception by EU citizens of the application process for Permanent Residence. "We're looking for 28 people, one from each EU country, who are willing to join a 'bring your own dish' meal, and share their personal experiences of Brexit. Artists give a different angle to with a creative flair that makes people think. It also unites people, unlike politics. 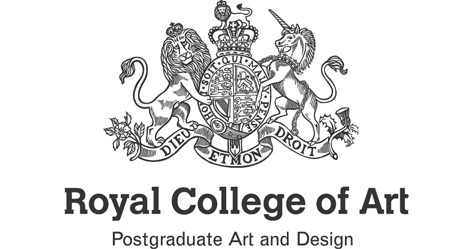 This is why the3million will be supporting Brexit Recipes at the Royal College of Art on 25 March. 28 people, one from each EU country, join a 'bring your own dish' meal, and share their personal experiences of Brexit. Copyright © 2017 the3million, All rights reserved.